✩ SOFTEN & PURIFIES YOUR WATER. 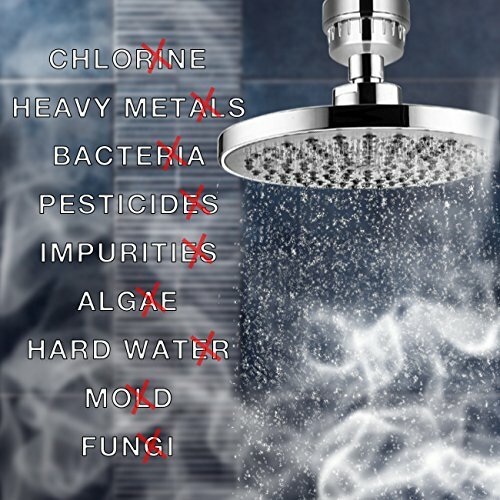 With strengthened KDF & Calcium Sulfite stages, our 8-Stage shower water filter helps remove chlorine, heavy metals, chloramine, smell ammonia, sulfur other sediment and inhibits the growth of scale, algae, mold in the bath tub, protecting you and your family from harmful chemicals and horrible odors during shower. 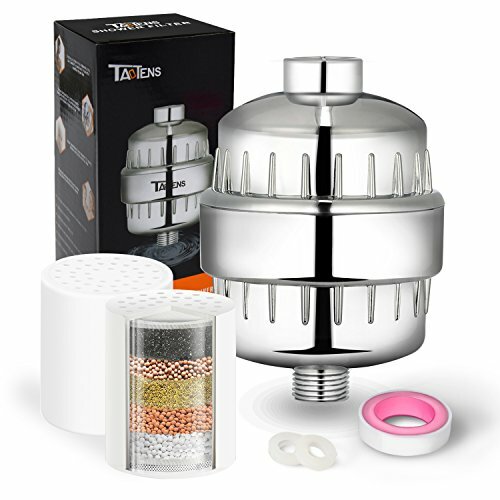 ✩ HEALTHIER & SAFER BATHS – Use Taotens shower filters will Say good-bye to micro-organisms & bacteria harbouring in water, which have a negative impact on your skin, hair and health. Perfect for young children and baby's sensitive skin. 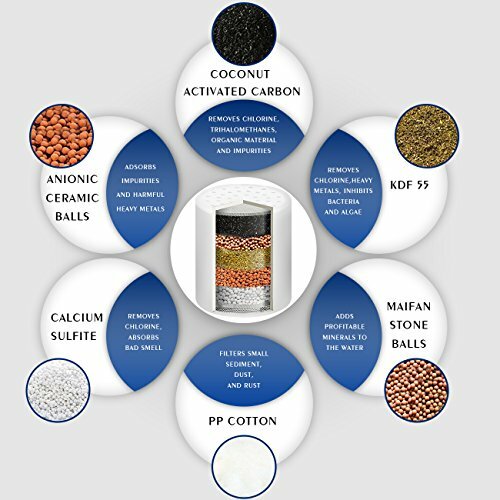 ✩ 8-STAGE EFFECTIVE FILTRATION – ① PP cotton, ② Coconut shell carbon, ③ Maifan stone balls, ④ KDF 55, ⑤ Anionic ceramic, ⑥ Calcium sulfite, ⑦ PP cotton, ⑧Stainless steel mesh –Our chlorine filter for water reduces chlorine and flouride levels, while also smartly tackling heavy metals dust & dirt! Works for hot & cold water alike. 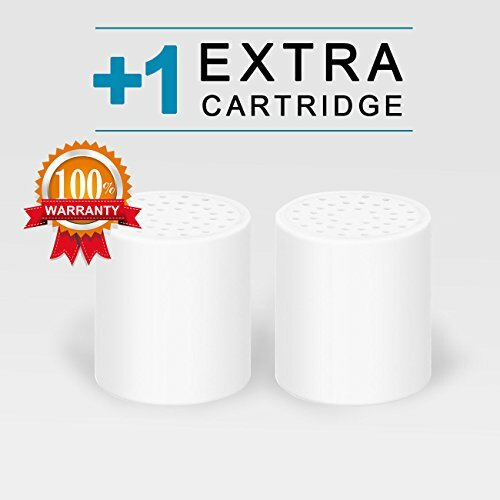 ✩ UNIVERSAL STANDARD SIZE AND EASY INSTALLATION. 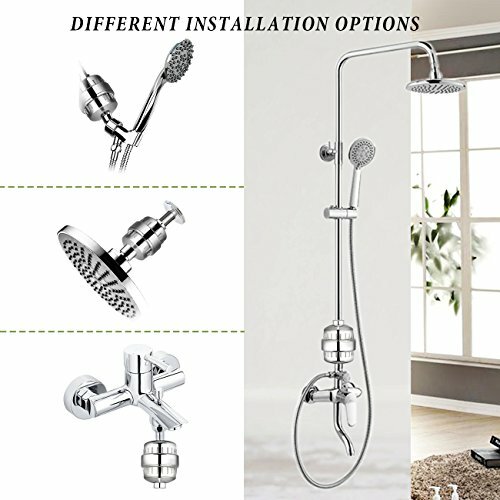 Taotens Universal shower filter connections work with all shower types,including overhead, handheld, rainfall, and combo shower heads. No tools required,easy to install. ✩ GREAT CUSTOMER SERVICE: Two years changing and refunding warranty gives you worry-free service. Promise 100% money back guarantee without any condition. 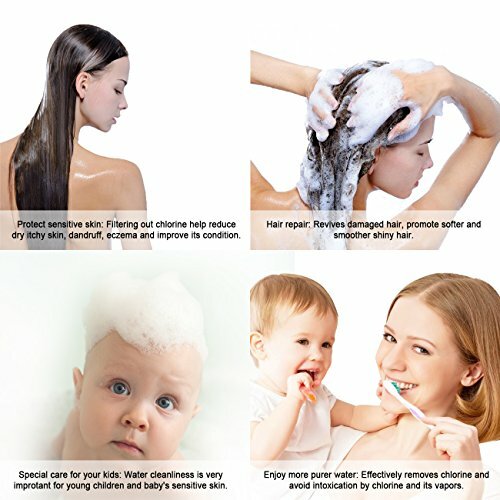 PURIFY YOUR SHOWER WATER: Taotens 8-STAGES Shower Head Filter Effectively Removes Chlorine, heavy metals (lead, mercury, nickel, chromium), bacteria, pesticides, and inhibits the growth of scale, algae, fungi, and mold, protecting you from absorbing, inhaling, or consuming dangerous chemicals and pathogens. PROTECTS YOUR SKIN AND HAIR: Our shower filter is mainly designed to reduce levels of chlorine and other harmful compounds in your shower water. Filtering out chlorine promotes healthy, strong and shiny hair. It also prevents fast fading of color-treated or highlighted hair, improves and moisturizes hair, and reduces dandruff. 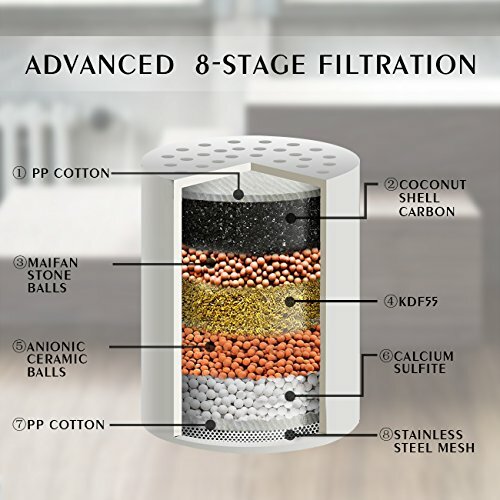 8-STAGE FILTER CARTRIDGE: A proprietary blend of KDF 55 (mainly work to remove heavy metals & chlorine), Calcium Sulfite (soften hard water), Coconut Activated Carbon (removes impurities in water) and Anionic Ceramic Balls, plus two layers of PP Cotton and high density Stainless Steel Mesh, ensures that the filtration works equally well on both hot and cold water. UNIVERSAL& EASY TO INSTALL: Universal shower filter connections fits standard threaded shower with any shower types, including fixed, overhead rainfall showers, rain showers, handheld hand showers and combo showerheads. No tools required. Click the orange “Add to Cart” button and Order your shower filter to enjoy your healthier shower!